I wanted to share this insightful article from one of my favorite author/teacher. If you have had difficulty in keeping your “quiet time” with our Lord like I do, then please read this article. Wow! The Father chose us in Christ before the universe even existed. What a glorious thought. He chose us, we did not choose Him. He didn’t choose us because we were anything special or from some random selection. He chose us in Christ for His ‘pleasure and purpose’. Now some would argue from a theological point of view that there is no predestination. I would have to disagree with this viewpoint from what the text plainly states in Ephesians 1. The same is also true for all of us who have trusted in Christ for life and salvation. What a great Christ we have. I would encourage all of you who are reading this to mediate on these verses and realize how loved and blessed you are in Christ Jesus. I know it’s been a while since my last post on this site. But, I have a fantastic testimony to share. Some of you may know that I was diagnosed with stage 4 kidney cancer that spread to my lungs in November of 2013. Since then I have had over 15 procedures to alleviate symptoms caused by tumor blockages in my right lung. It has caused me to have to be on oxygen at times to have normal breathing. Well, a week ago I had another CT scan on my lungs. My oncologist told me that the tumors had shrunk a little since the last scan. However, my lung doctor told me that the tumors were stable but were once again invading my right bronchial tree. This is not good. I was referred to both a radiation oncologist and a thoracic surgeon to discover some treatment options. My radiation oncologist suggested once again using a high dose of radiation directed at the trouble spot to decrease the amount of coughing up blood and open up the airway some more. I will be undergoing the radiation treatment next week. The thoracic surgeon told me that he thought that any kind of surgery on the affected area would do more damage than good. It is just too blocked by tumors and they are in a delicate area. The Lord Jesus knew all about my situation. The night after I saw the surgeon I had a massive cough attack. I began to cough up tissue and blood. After a few minutes I was just coughing up blood. This is a scary feeling and most uncomfortable. After about 20 minutes the coughing ceased. I was finally able to lay down and get some sleep overnight. The next day I checked my oxygen level and it was finally above 90 percent. I had been on oxygen because my levels were below 90 percent. Now I could stop using the oxygen and I was breathing much better. I was on a call with some friends and the Lord showed me that while the surgeon couldn’t do surgery, He could. And, apparently he did. I saw an image of the Lord cutting away some of the tumor mass so that I would have an opening to breathe better. The blood that I coughed up was the results of His intervention. While there are still tumors in my lungs, at least now there is an opening that allows me to breathe much better. Thank you Dr. Jesus for your intervention. In the past I have not expressed my love for the Lord very often. This verse may explain the reason for this. I have been a Christian for over 30 years, yet I have struggled with believing all that the Lord has done for me. I have spent years living in guilt and shame over my behavior towards myself and others. In reality I had been committing the sin of unbelief in during these years. I could not bring myself to tell the Lord of my love and devotion to Him because I was putting up a wall of unbelief and unforgiveness towards myself and shutting Him out. Now in the past year the Lord has been revealing to me who He is in me and who I am in Him. What a wonderful change in perspective. I used to believe that because of my behavior that I was unable to please the Lord. This is simply not true. I am pleasing to Him always simply because of my faith in Him. He has chosen me to be in Him before the foundation of the world according to Ephesians 1:4. This is also true of all those who have put their trust in Christ and received His forgiveness of all their sins. What a wonderful Christ! I love my Lord and I am grateful for all He has forgiven me for. When you realize just how much He has done for you, I believe you will love Him even more than you do today. 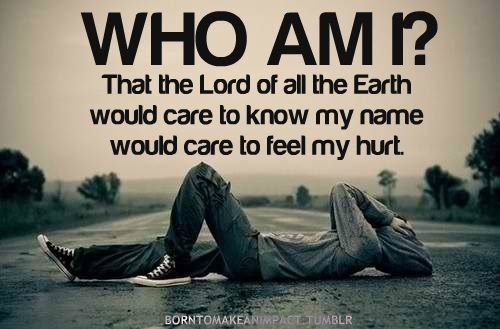 Who am I Lord Jesus that You were mindful of me? You put my cancer case on the heart of my pulmonologist. She went to a conference in Maryland and asked all the experts about my case involving a stent that moved from my right lung to my left lung. She found some great answers and told me she wanted to try again to remove that stent causing my breathing difficulties. Then one week ago You gave her skill and favor to remove that troublesome stent without any complications to the amazement of myself and my care team. Now I am breathing better in spite of still having tumors on both lungs. I thank You Lord Jesus for Your presence, Your love, and Your healing touch on me. I am so glad that You are in me and I am in You. That is why You are mindful of me. I don’t know about you, but I have for the longest time had difficulty with verse 14 of this passage. I have interpreted this verse to say, “If you don’t keep my commands then you really don’t love Me.” This filled me with so much guilt and condemnation that it stifled my growth in Christ. I have sang songs in church about loving the Lord but never really felt like I did. But recently Jesus has given me a revelation of this verse that I hadn’t realized before. He revealed to me the truth of this verse and the passage. 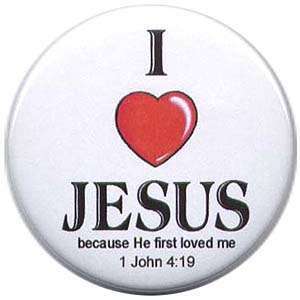 He showed me that if I love Him first, then I will obey His commands. It all starts with loving Christ. Once I began to understand that He is in me and loves me and that I am in Him, it changed everything. I love Him because He has done everything for me that I could never do on my own. In verses 16-18 of this passage Jesus tells us that He will give us the Holy Spirit to indwell us and to help us. The indwelling life of Christ through the Holy Spirit is the source of us being able to obey Him. We cannot please the Lord or live the Christian life on our own. It is impossible. He is pleased with us because we have yielded to Him and put our trust in Christ alone. This truth has set me free to love Christ and trust that He will move me to obey Him out of my love for Him. I hope you will receive such a revelation from Christ that will set you free as well. I have recently been reading and meditating on Ephesians 1 (NKJV). I used an online Bible website and personalized it. I found great truth and encouragement from it and I hope you do as well. 3 Blessed be You the God and Father of our Lord Jesus Christ, who has blessed me with every spiritual blessing in the heavenly places in Christ, 4 just as You chose me in Him before the foundation of the world, that I should be holy and without blame before You in love, 5 having predestined me to adoption as a son by Jesus Christ to Yourself, according to the good pleasure of Your will, 6 to the praise of the glory of Your grace, by which You made me accepted in the Beloved. 7 In Christ I have redemption through His blood, the forgiveness of sins, according to the riches of His grace 8 which He made to abound toward me in all wisdom and prudence, 9 having made known to me the mystery of Your will, according to Your good pleasure which You purposed in Yourself, 10 that in the dispensation of the fullness of the times You might gather together in one all things in Christ, both[a] which are in heaven and which are on earth—in Him.11 In Christ also I have obtained an inheritance, being predestined according to the purpose of You who works all things according to the counsel of Your will,12 that we who first trusted in Christ should be to the praise of His glory. 13 In Christ you also trusted, after you heard the word of truth, the gospel of your salvation; in whom also, having believed, you were sealed with the Holy Spirit of promise, 14 who[b] is the guarantee of our inheritance until the redemption of the purchased possession, to the praise of His glory. 15 Therefore I also, after I heard of your faith in the Lord Jesus and your love for all the saints, 16 do not cease to give thanks for you, making mention of you in my prayers: 17 that the God of our Lord Jesus Christ, the Father of glory, may give to you the spirit of wisdom and revelation in the knowledge of Him,18 the eyes of your understanding[c] being enlightened; that you may know what is the hope of His calling, what are the riches of the glory of His inheritance in the saints, 19 and what is the exceeding greatness of His power toward us who believe, according to the working of His mighty power 20 which He worked in Christ when He raised Him from the dead and seated Him at His right hand in the heavenly places, 21 far above all principality and power and might and dominion, and every name that is named, not only in this age but also in that which is to come. Ephesians 1:10 NU-Text and M-Text omit both. Ephesians 1:14 NU-Text reads which. Ephesians 1:18 NU-Text and M-Text read hearts. Can you remember back to your high school days? I know for some of us it’s more difficult to remember these days. Think back to sitting in your high school english class. Your teacher hands you a book and tells you to read it. You notice that it seems to be over 300 pages and you think to yourself, “Ugh. I will never finish this. It looks boring.” So you take several weeks to read this book only to find out that you have to write a long essay about the book and it’s plot and characters. If only you could speak to the original author of the book, you could get all the answers. In most cases this is no longer possible. However, there is one book that you can still find out the answers and meanings to questions from the author. That book is the Bible. As a believer in Christ, you and I are indwelled by the Holy Spirit. Christ himself dwells within your spirit. So the author of life and the author of God’s word dwells within you. This gives you and I incredible access to the author Himself. We don’t need Cliff notes to discover the meaning behind the word of God. We can simply read the Bible with the author. 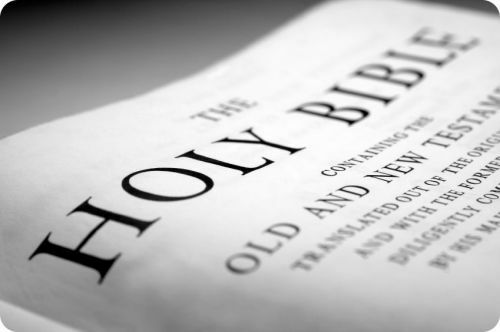 I know that for myself, I have read and studied the Bible for many years. But I approached it from a theological perspective. I used the tools I learned in Bible college to interpret the Bible. I rarely read the Bible with the Lord. I read it apart from Him. Jesus said in John 15:5, “…apart from me you can do nothing.” I believe this includes attempting to read and or study the Bible. We need to approach our time in God’s word with prayer for Him to guide us along in the Scriptures. I have begun to see His word anew as I involved Him in my reading of the Bible. Now I also am looking for Christ in every part of the Bible, especially in Old Testament books. After all Jesus told the religious leaders in John 5:39, “You study the Scriptures diligently because you think that in them you have eternal life. These are the very Scriptures that testify about me.” All of the Bible testifies about the Lord Jesus Christ. Do you seek Jesus to help you in reading and discovering the truths about Him in the Bible? Or do you simply read it and attempt to find ways to apply it apart from Him? Something to think about. The joy of meeting together with other members of the body of Christ in a home setting is always refreshing and encouraging for me. I had the opportunity during my short stay in California on vacation to meet some new believers in their home. They are friends of another couple that I have known for a number of years now. I left the institutional church about 3 years ago. I have chosen to seek out fellowship in a more organic expression. I found it in home fellowship. In this gathering there was no agenda, no leader, and no Bible study. These elements are typical for a small group setting in many institutional churches. But, in an organic expression of Church in a home setting is very different. Each person is allowed and encouraged to share what the Lord Jesus is teaching them. Each person is given the freedom to use their spiritual gifts with the rest of the group. 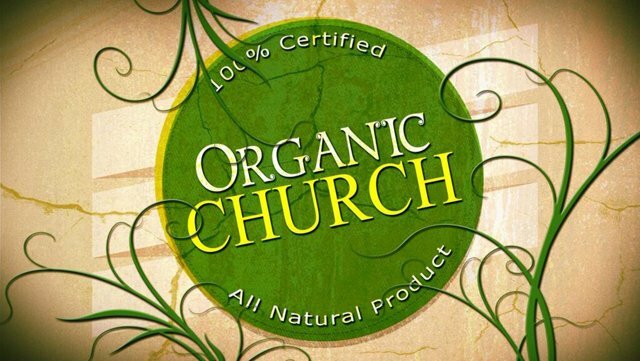 Instead of a single individual or a select group of individuals only allowed to speak, in an organic church all can speak. We all shared what Christ was doing in teaching and doing in our lives. We met for over 3 hours and we didn’t even want to look at our watches to see if we were close to ending. I can recall many times in the institutional church service where I couldn’t wait for it to end. I was simply bored with this kind of gathering. This is a very unique and different way of believers meeting together. This is the pattern laid out for fellowship and the gathering of believers in the New Testament. Yet, over the past 1500 years or so we have taken our western viewpoint of the New Testament over first looking at how these gatherings happened at the time it was written. The early church met in homes not in buildings. The early church didn’t have paid clergy. In fact, there was no distinction between leaders and regular believers. The early church also had no Bible to study. 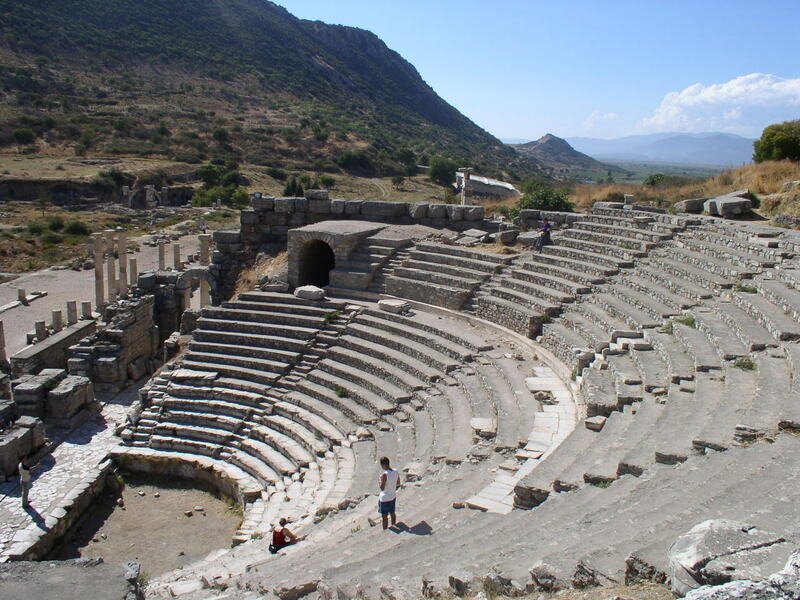 Most believers were illiterate in the first century. When they met together they shared Christ and what he was teaching them. There were no printing presses until the 16th century. Most house churches probably didn’t even have a single scroll of any Old Testament writings either. Yet, in the western church today, we have become so Bible dependent that we have lost the simple joy of sharing Christ with one another each time we meet as believers. If you went to your church service over the weekend and the pastor said there is no sermon today, what would you and others do at the worship service? Could you simply talk about the Lord Jesus Christ the entire 90 minutes with one another? I could write further on this subject, but I will end this post here. I will however continue this topic in future posts. 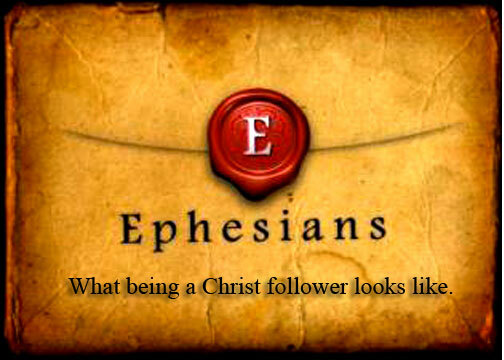 I have been reading and re-reading through Ephesians the past few days. This morning I decided to read it in a more personalized way. Now, I realize that this letter was written to the churches who met in the cities of Asia Minor or modern day Turkey. It was written for the Church as a “we” and not an “I”. I have placed in ITALICS those words that I have changed to make it a more personalized letter to individual believers. This has caused me to read this differently and my only response is praise to Him who called me by His own purpose and grace. I have only personalized verses 1-12 for this post. I hope this will be a blessing to you.